Technical support for OM Plus Delivery Manager (DM) on Windows server 2003 is being phased out. Delivery Manager customers are encouraged to upgrade to a more recent version of Windows. 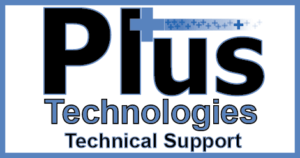 Plus Technologies customers enjoy a world class level of technical support. A Services Technician will directly answer Customer calls and will immediately gets to work solving the problem. Engineering resources are co-located so if a patch or fix is required they too can get involved very quickly. Our whole team puts the customer first and will do everything we can to be as responsive as possible. Visit our print software page for more information on the many software product we offer. We serve customers of all sizes as our products, licensing, and pricing is scalable upwards and downwards. We have departmental as well as enterprise wide output management software implementations. We have successfully sold into many Fortune 500 organizations. One reason for our success is our willingness to respond quickly to our customer’s unique requirements. First, we listen to the customer to understand their environment and their needs. Second, we work the customer to determine the optimal solution. We are able to quickly make enhancements to our products to meet specific needs. Third, we offer pricing and licensing flexibility to suit our customer’s budget. Fourth, we are highly experienced and are experts at implementation services. Lastly, we provide world class support. This recipe has served us well over the years and as a result we have an extremely loyal customer base.